Millennials are future of retail – and they are drastically changing it while spending more than ever before. The article below describes what is important for a contemporary shopper to like a specific brand, which is, taken everything together and simplifying it, experiences. While thus brand experiences and the atmosphere around a brand are becoming crucial, the question arises on how to achieve this. The third point that Lauren Freedman does is especially interesting, as latest hi-tech paves the way for experiencing new things. Read the article by clicking HERE and let us know what you think in the comments! In the last few years one could see a tremendous decrease in physicals stores opening and an increase in stores closing their doors. The online shopping experience seems to take over and be favored by most customers. 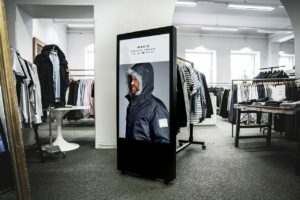 This leads many to think: “Brick-and-Mortar shops are dead!”, “Online commerce is the future!” This might be the wrong direction to turn to, as the future might just take both worlds and create an augmented reality shopping experience that ties online and physical shopping together. Have a look at THIS amazing read for the weekend and let us know: Is this the future?